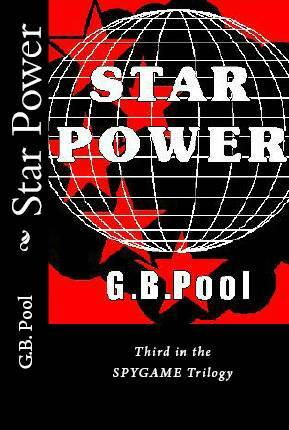 STAR POWER, the final novel in the SPYGAME Trilogy. It traces the activities of a world-famous actress, Irene Roman, who is a Soviet agent. She started her career in the 1950s, when the McCarthy Era was captivating America and she uses her beauty and prominence to infiltrate many areas usually closed to the average Joe. Her agent, Michael Walsh, part of the Popular Front movement in the 30s and 40s, recruited several stars for Party work as well as for their acting. He used a dumb little blonde named Estelle Murray until she learned too much about a plan to do more than infiltrate the movie industry with communist propaganda. To push forward the Front's agenda, Walsh blackmails a script reader from MGM, Lillian Pritchard, a bit of a lush, who has an illegitimate son by a famous Hollywood screenwriter, Sidney Berman. Lillian is the only intelligent person in Walsh's life besides the fellow-traveling intelligentsia who are trying to make a statement in American movies. The commies are more than willing to let the Hollywood Left write anything they want, just send all that lovely money back to Moscow. Irene arrives on the scene when more than money is required. She marries a rising star in Hollywood to get her foot in the door, followed by a few other famous men whom she uses. She even names a name during the HUAC hearings. Talk about your red herrings. She even marries the handsome American Ambassador to India to try to disrupt Chinese-Russian relations during the Vietnam War. Master spymaker, Robert Mackenzie, runs into her several times around the world, once in Czechoslovakia during the Prague Spring. Because she looks like an old love, he finds it hard to get her out of his mind, but when he finds out she's a spy, he decides to use her to America's advantage. Irene and her cronies want to oversee the ruination of America by weakening the moral and mental fabric of the country. Her final gambit is to assume the seat of a dead U.S. Senator in a fixed election and press to have America capitulate when four nuclear weapons are planted on American soil by Chinese dissidents. This is all done under the guise of the United Nations becoming the dominant world leader under the auspices of the newly emerged United Soviet States. This allows Russia to ride to our rescue and be granted a "temporary" military presence in this country. Mac, Elaine, Vasily Karpov, and a Cuban who worked for Elaine's father when he was a CIA agent in Cuba before the Bay of Pigs, work together to close down the Chinese threat before the final piece can be put into play.